Hey everyone! It's nearing the end of the month again, and that means it's time for another Paint All The Nails link up, and this month the theme is 'neon'. I wasn't actually going to join in this month because I don't own many neons at all and I didn't think I could create anything worthwhile. Just as I'd given up on the idea of participating, the new Models Own - Polish For Tans* collection dropped through my letterbox. I haven't received anything from Models Own for at least a year, if not two, so it was a nice surprise and also a strange coincidence. I felt like I had to create something using them for the prompt as it felt like fate, and so here I am! I used all 5 polishes from the collection for this nail art, and I'm still wearing them now. I'm not used to wearing something so bright so they keep catching me by surprise, but I ended up really liking them. I used Models Own - Barrier Reef* for the base, then I used Boat Party*, Island Hop*, Surfs Up* and Beach Fire* along with a stamper to smush the colours together. Then I used acetone and a flat brush to create the negative space. Finally I finished with a coat of Seche Vite, and then a coat of Barry M - Matte Topcoat. Also the neons were apparently too bright for my camera because the photo above looks super strange, but the one below is a bit more accurate. The collection is available now online, and from all Models Own UK Bottleshops for £4.99 each. These are totally you, only with an added neon twist! That negative space is so crisp and flawless. Love them Alice!! I would never expect to see romantic hearts with a bright bright neon like that! This is perfect! So pretty and so you! This looks so great! I love those negative space hearts, I really don't know how to do that, you must teach me your ways! These are great colours and the perfect choice for this look! 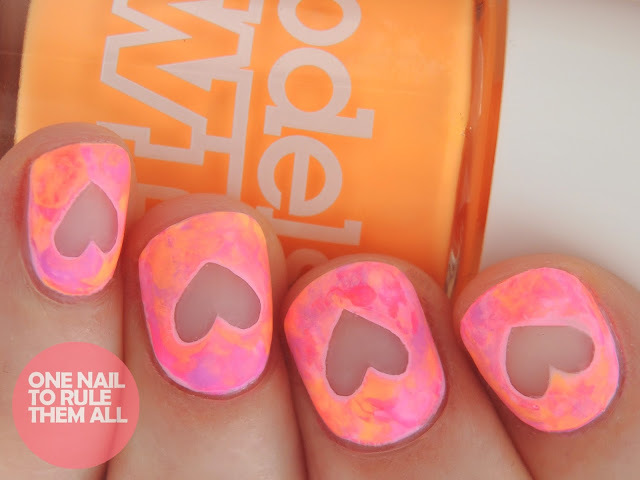 So cute to include hearts on a neon mani, I think I may do a heart mani soon. As always Alice I love your work. Gorgeous! Love those negative space hearts! So awesome! Alice, oh Alice! You have no idea how happy I am that you joined today's challenge! These are freaking fabulous and probably one of my favorite designs on your blog. It already landed on my to-do list! 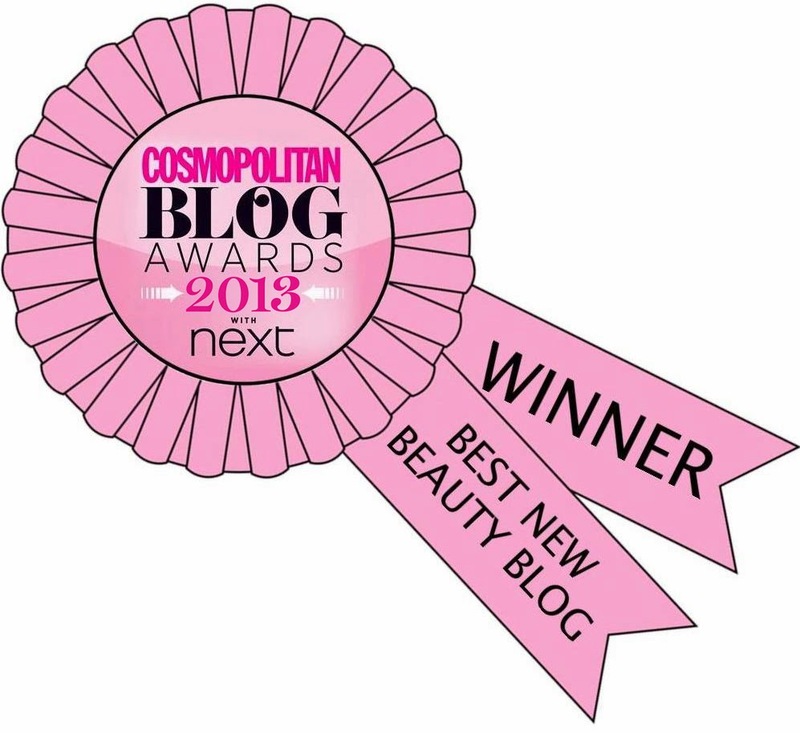 :) Just beautiful! 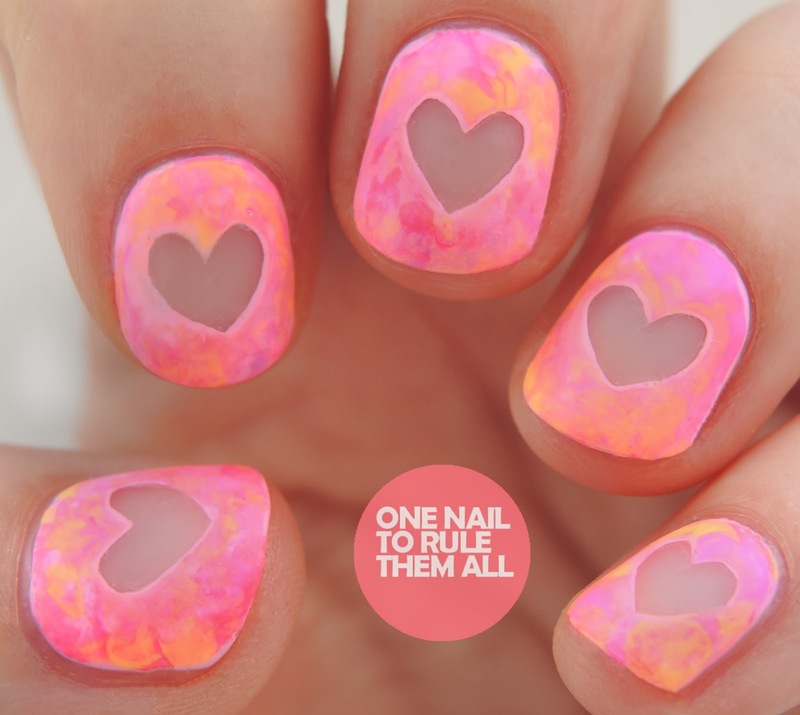 Totally fate!These nails are just the cutest. Totally pinning them. I love this take on negative space! Amazing job making those hearts so perfect! The new Polish for Tans are gorgeous, I couldn't resist and used them for my holiday pedi! Great dsign Alice, they go so well together! Love this look! The negative space heart is so cute! !